Few of you know that I was diagnosed with a true corn allergy when my doctor, after several unsuccessful attempts to prescribe antihistamines for hives, discovered that all the prescription strength medications had corn starch in them as fillers. Being allergic to your antihistamines is the quintessential definition of irony. She was excited because she’d never met anyone with a true corn allergy and now she could write a paper. I wasn’t nearly as excited. She found one antihistamine that didn’t have corn starch in it. It’s a tiny pill called hydroxyzine and I took it for nearly 15 years. I was never really happy to take hydroxyzine. It was messing with my sleep patterns. It made it very hard for me to get up in the mornings. I also had to keep in mind that at anytime the manufacturers could start adding corn starch to it. In my mind, this solution had an expiration date. I was finally able to get off antihistamines last summer. I found a fantastic homeopathy practitioner here in Charlotte. She reviewed my medical history and all my symptoms and recommended a remedy for me that has finally allowed me to quit taking the hydroxyzine. The remedy is quite specific to me (sulphur 12C) and depending on your whole medical history, a practitioner might recommend something else for you. I will say the homeopathy is still a work in progress. I still have mild reactions but with the vitamins and herbs I take, they’re manageable. 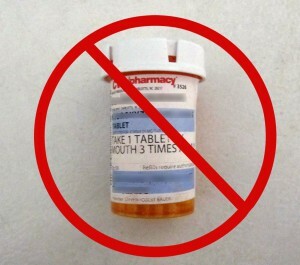 I also take Enzymedica ViraStop and/or SerraGold as soon as I realize I’ve been exposed. The enzymes work to clear my system of the allergen as fast as possible. I’ve heard activated charcoal does the same thing by binding the food just eaten. I haven’t tried it because it binds the minerals too. So it’s not something you can use as more than an emergency stop-gap. My acupuncturist has been treating me for just over 2 years now. The treatment also includes laser therapy for allergies. She “cleared” me of corn over a year ago but I still have reactions. As of last week, she cleared me of microwave popcorn which was still causing terrible reactions. I had to bring her a sample of popcorn kernels (someone else collected them for me) and she put them in a tiny vial that I hold while she runs a laser light over my back for a couple of minutes. Lasering is non-invasive but also very specific. Due to the severity of the allergy, we have to treat each corn component separately. Next up, she’ll be treating me for fabric softener, which I’m also certain has corn in it. I don’t use it myself, I’m reacting to the smell of it on people’s clothes in the office. Seriously! As you can see this has been a process and no one thing has been the perfect solution. I continue to chip away at my allergies bit by bit. I hope one day to be able to go to a movie and just appreciate popcorn as “theater potpourri”! Here’s a shout out to Tamar for inspiring this post. You should check out her work in progress on a corn allergy documentary! Disclaimer: I have no medical or nutritional training. Any supplement regimen I share with you are meant as a starting point in your own research. What worked for me may not work for you. Most importantly, you should always do your own research to make sure that you won’t react to the supplements as we all have different sensitivities and reactions to corn. This post was shared with Wildly Original, Thursday Favorite Things, Wicked Awesome, WFMW, It’s A Party, Live It Up, Wonderful Wednesday, Handmade Tuesday, Tutorial Tuesday, Wined Down, What’d You Do This Weekend, Hearth & Soul, Mostly Homemade, Tuesdays with a Twist, Wordless Wednesday, Fat Tuesday, Thank Goodness It’s Monday, Allergy-free Wednesday, Waste Not Want Not, Clever Chicks, Much Ado About Monday, Motivation Monday, Sweet & Savory Sunday, Simple Saturdays, Round Tuit, Simple Life, Live Simple Naturally, Happiness is Homemade and My Favorite Things. 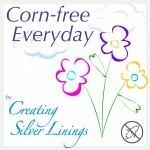 This entry was posted in Autré Chose, Tips and tagged allergy, corn free, medication. Bookmark the permalink. I have had a go round with my pharmacy about soy being in meds. They insist there is no soy, I ask them to actually check the ingredients. The pharmacist could not believe that there is soy in Vitamin D! Yep. It’s everywhere! Please keep posting on the corn allergy. I have that one too, but the soy is much more painful, so I focus on that as a priority with corn coming in close behind. the Healthy, Happy, Green and Natural Party Blog Hop. I’m pinning and sharing! Oh man, corn is in everything! I’m so glad you’ve found natural alternative to antihistamines! Thanks for sharing what’s working for you, and for linking up with Waste Not Want Not Wednesday!